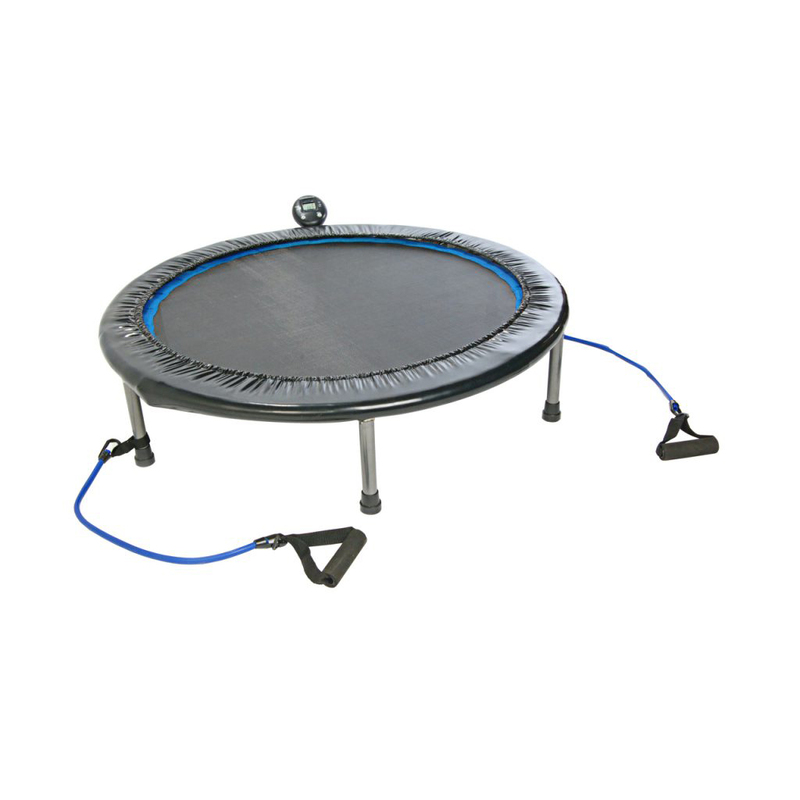 The Stamina® 36 inch Folding Trampoline is an effective, safe, progressive way to exercise at home or at the office for improved cardiovascular fitness, overall muscle strength, to aid in weight loss, and to improve circulation. Studies have shown that rebounding has many positive health benefits. Rebounding can go almost anywhere–fold it and take it with you–so you’ll stick to your workout routine and get fit. Start slowly and progress at your own speed. By adding hand or ankle weights to your routine, you will progress to a more complete cardiovascular workout. You don’t need an expensive gym membership to get fit. And you don’t need a large workout area at home. Rebound while you watch TV, then fold and store it away in a closet or under the bed. Improves coordination throughout the body.